This interview with composer David Cope, author of Experiments in Musical Intelligence and arguably one of the leading music theorists of the XXI century, was conducted by e-mail from August of 2002 to June of 2003. The interviewer is composer Patricio da Silva. It first appeared in: da Silva, Patricio. 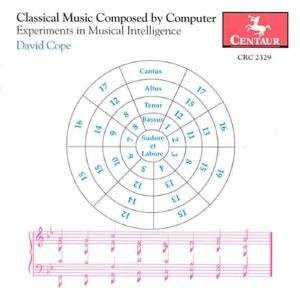 David Cope and Experiments in Musical Intelligence. 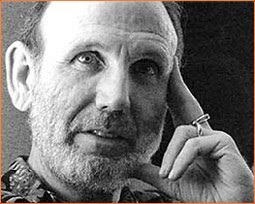 2003. www.spectrumpress.com: Spectrumpress. Reprinted with permission. Patricio da Silva: What is your concept of music? David Cope: With the understanding that you've not asked "What is *good* music," I feel that music (with due respects to Varése) is "organized sound and silence." What is *good* music made of? A balance of unity and variety. What do you want from music? Does your musical thought accept and strive for beauty? No. Beauty means different things to different people; in fact, it means different things to the same person depending on circumstances. If I depended on a sense of beauty in my work, I would never finish anything. Can algorithms create expressive music? I don't know of a single piece of expressive music that wasn't composed, one way or another, by an algorithm. According to my dictionary, one of the meanings of "expression" is "a showing of feeling or character." There's nothing said about intent or about a shared response to expression. Therefore, to me, expression is what I receive from music when I *feel* something in response to it. What I feel need not be composer intended nor felt by anyone else. All the other meanings attributed to expression in my dictionary refer to words, which then don't apply directly to music. Since what one *feels* in response to music has no obligatory direct correlation between what the composer intended to express nor to what others may have *felt* from whatever was meant to be expressed is there a true musical *expression* ? I think we're lost in semantics over the word "expression." I want the word to mean "expressive" as in the musical term "espressivo" where one is to be expressive with the notes given. It's wonderfully vague. I suppose polemically, the only "true expression" according to my definition would be one that had no direct correlation with the intent (and therefore the only truly "false" expression would be one which accidentally matched the received expression with the intended one). Sorry for the word games, but simply put (with expression aside), I don't believe that music communicates anything or that when I am moved by a piece of music it means anything other than that I am moved by it (possibly in similar ways that I am moved now by the fog as it drifts in from the ocean - it doesn't intend to move me nor do I imagine for a second that others even like the fog - which many don't - no less be moved by it). The ability to interlace melodies, harmonies, timbres, articulations, dynamics, rhythms, forms, and so on in ways which disguise their true origins and thus sound original. I think my answer to that is the same as an earlier answer: A balance of unity and variety. Are you implying that *good* music can only be the output of coherent inventiveness? Well, I certainly think that contributes to good music. I can't imagine a good piece of music lacking a demonstration of coherent inventiveness. 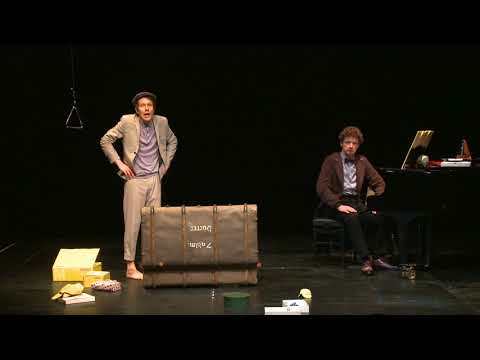 Is there a musical difference between coherent inventiveness to inventive coherence? Sure, and they're both wonderful!